This day and age, there's pretty much a separate industry designated to the state, shape, and sparseness of our natural brows. Between serums, pencils, pomades, and powders, having uneven or less-than-bushy texture isn't much of a problem. 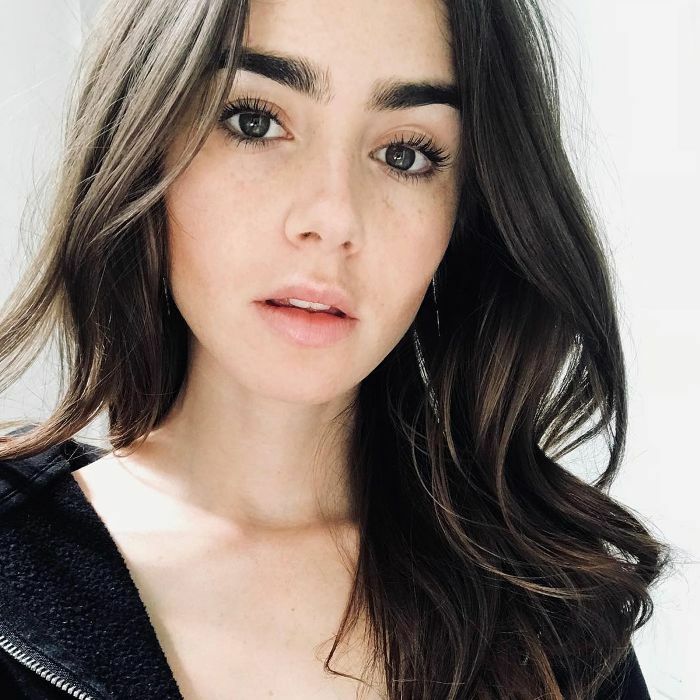 (Of course, we wish we naturally had brows à la Lily Collins, but alas, we have to choose our battles.) That said, even though our go-to brow products can create a quick antidote to a wax or pluck job gone awry, we'd prefer to wake up and walk out the door without having to concern ourselves with the symmetry of our two sisters. So we decided to go to celebrity brow artist Joey Healy to learn his best tips, tricks, an overall game plan when it comes to fixing an uneven set of eyebrows—be it from birth, Botox, plucking, or a super-scary wax job. Spoiler: The process is so much much less intimidating than we would have guessed, but patience is a virtue. "Rome wasn't built in a day, and neither are perfect eyebrows," Healy reminds us. "Remember, every hair will look like a stray until it gets a few friends; then it will form a line. Figure out which brow you prefer and let that be a guideline for the brow that's lagging behind. 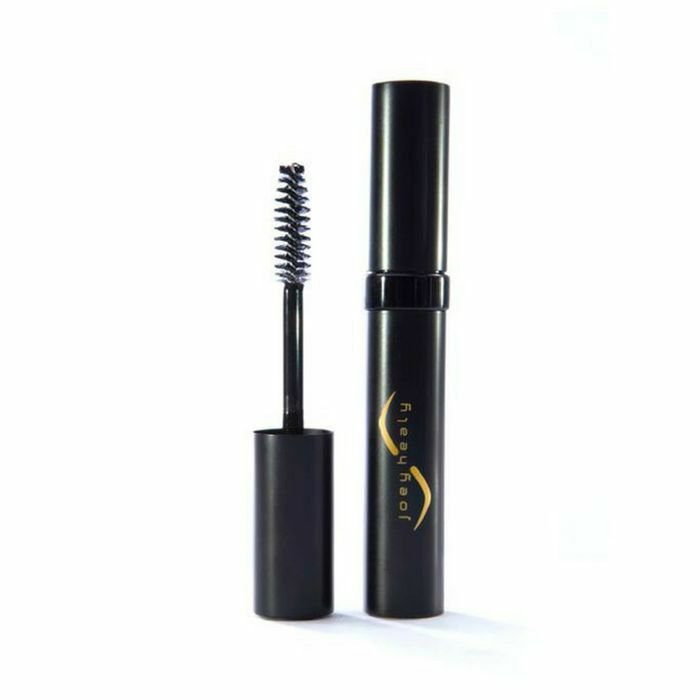 Do not overwork the better brow just to achieve a perfect match. Hang in there, and don't be shy about using colored brow cosmetics to help you along the way." For Healy's exact process and growth- and maintenance-promoting product picks, keep scrolling! As we mentioned, and as wonderful as brow products are, they're truly just a Band-Aid solution for fixing uneven brows. They can help, and we love them for that, but they obviously won't get to the root of your uneven eyebrows—and we mean that literally. So patience and most likely some grow-out time will be necessary. Here's Healy's expert process. Step two: During your brow appointment, Healy says he (or your pro) will asses if the brows are equidistant from the bridge of the nose and if they are level. "Is one higher? Splitting the difference often helps here by carefully tweezing under the low one and making sure nothing comes too high on the high one," says Healy. Step three: Check where they end and asses whether or not they end at the same point. "The corner of the nose to the corner of the eye is a good guideline to hit, although you can go a bit further as long as it doesn't end up in the temple depression," advises Healy. Step four: Look at your arch and aim for one that hits about two-thirds of the way out. Healy says to avoid a center arch, which can make the shape look like a triangle (if pointy) or a rainbow (if round). Step five: Trim, but sparingly! "Often, the length of the existing hairs can prove to be a wonderful asset, allowing you to do a brow comb-over and direct them in a helpful way," Healy tells us. "Clear brow gel is so helpful at this stage." Step six: Fill while you wait. "I recommend using a pencil for instant gratification, but don't apply it through the entire shape of your brow, just where you need it in the areas that are sparse and being grown out," he says. Also, he adds to make sure your pencil pick is the perfect match for your brow color. Step seven: Make a follow-up plan. Healy suggests scheduling monthly appointments with your brow artist and only plucking the most obvious of strays—aka the ones that are in the dead center between your brow and lid. 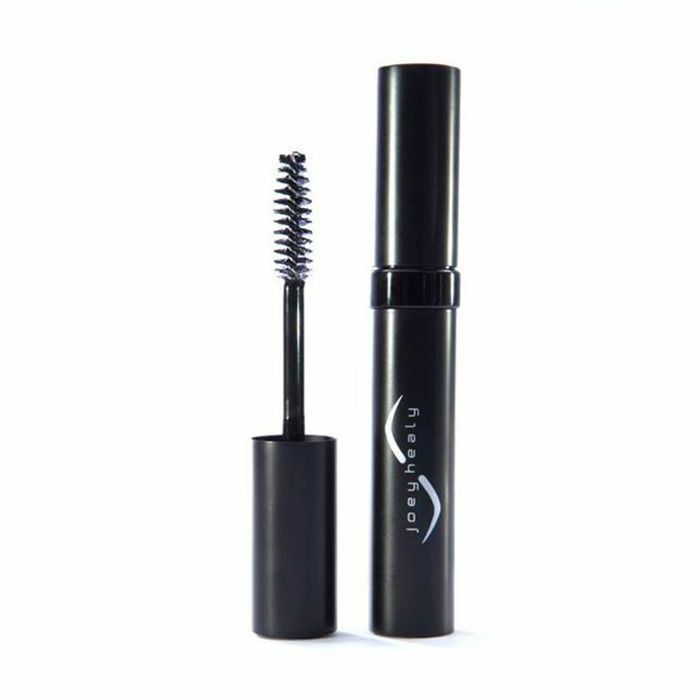 Below, two more must-have products Healy recommends while growing out uneven brows. "While a powder can help light brows achieve more depth, pencils are preferable for specifically fixing unevenness," Healy explains. "Pencils allow you to work on perimeter lines and are good for patching up a hole, gap, or scar." He recommends searching for a pencil (like his pro Stylo above!) 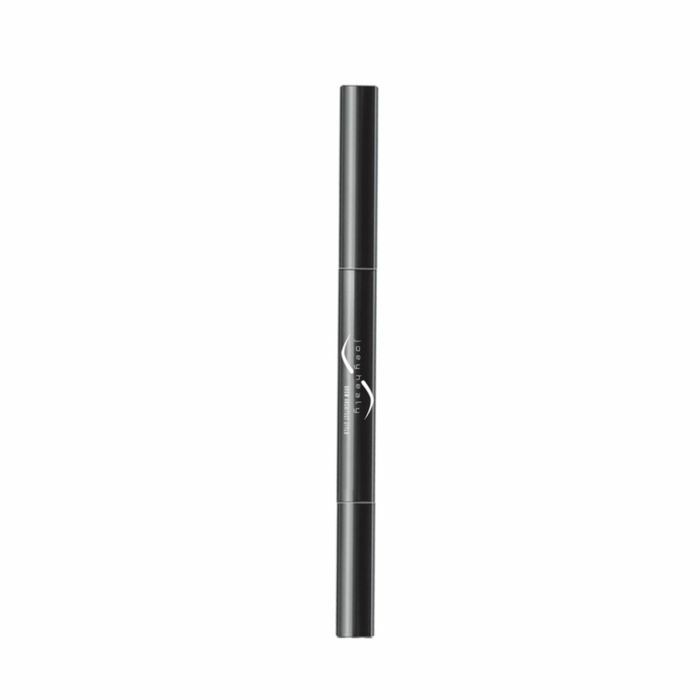 that has a triangular wedge–shaped edge to gradually and naturally build up the intensity of brows. He suggests using the narrow edge for outlining, the broad side for filling, and a pointed tip for more detailed work. "Brows are constantly growing, resting, and shedding," Healy reminds us. "They are not one static thing that stays the same, but rather more similar to a revolving door of hair. That's how and why effective serums can help in the growth phase." He suggests seeking out products that are rich in peptides and avoiding those with hormones. Additionally, Healy explains serums can be beneficial when fixing uneven eyebrows, as they can strengthen existing hair, aid in follicular repair, and improve the health of surrounding skin for thicker growth. "They can also increase hair's elasticity, enhance circulation, and improve the hair's ability to retain moisture, which leads to brows with more volume, suppleness, and sheen," he says. "Most serums are applied day and night for six weeks and nightly thereafter with initial results seen in as little as two to three weeks. Fuller results come around the six-to-eight-week mark. However, many report brows continuing to fill in well after." According to Healy, try applying your serum every morning on a clean, washed, towel-dried face, and allow at least five to 10 minutes before layering any other brow products or makeup on top. Then, in the evening, apply your serum again just before hitting the sheets. "If brows are asymmetrical, I generally advise growing them in untouched for four to six weeks before consulting a professional for an initial reshaping. Fixing uneven brows can take several sessions and really depends on clients' ability to grow hair, which can depend on age, ethnicity, etc.," Healy reminds us. That said, there is light at the end of the tunnel. According to Healy, a full brow transformation is usually attainable by the six-month mark, but depending on how fast your brows grow (and how vigilant you are about not plucking), you might see a full result as soon as two months or as long as one year. "During this time, self-maintenance should be sparing and a pro should be in the driver's seat," says Healy. "We often set ourselves back with a quick 'clean-up' session." Next up, here's what pros really think about castor oil and Vaseline for brow growth.